Place egg(s) in a cold oven. Turn temperature to 325* and bake for 30 minutes. 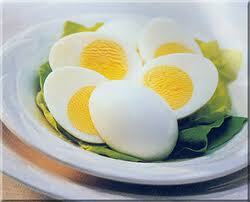 Remove egg(s) from oven and allow to cool. There will be no green circles and the whites will not be rubbery. Place a soup pot over medium heat and coat with the oil. Add the onion, carrots, celery, poultry seasoning, and bay leaf. Cook and stir for about 5 minutes, until the vegetables are softened but not browned. Add the garlic and cook for 1 minute. Pour in the chicken stock and bring the liquid to a boil. Fold in the chicken and noodles and simmer for a few minutes to heat chicken through and to cook noodles. Season with salt and pepper. Sprinkle with chopped parsley before serving. Note: I like less liquid and more chicken/veggies/noodles. 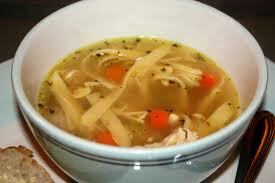 If you like your soup with more liquid, add more chicken stock or water. This is a very flexible recipe and all amounts are approximates. Heat the oil in a heavy large pot over medium heat. Add the onion, carrots, celery, and bacon. Saute until the onion is translucent, about 10 minutes. Add the Swiss chard, spinach, potatoes, and garlic; saute for 2 minutes. Add the tomatoes and rosemary. Simmer until the chard and spinach are wilted and the tomatoes break down, about 10-15 minutes. Meanwhile, blend 3/4 cup of the beans with 1/4 cup of the broth in a processor until almost smooth. Add the pureed bean mixture, remaining broth, and Parmesan cheese rind to the vegetable mixture. Simmer until the potato pieces are tender, stirring occasionally, about 15-20 minutes. Stir in the whole beans and parsley. Simmer until the beans are heated through and the soup starts to thicken, about 5 minutes. Season with salt and pepper to taste. Discard Parmesan rind. Ladle the soup into bowls, top with parmesan cheese if using, and serve. 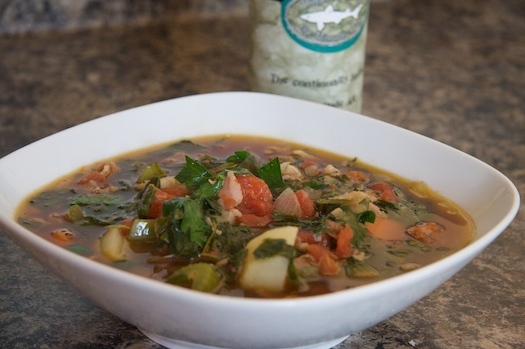 Note: This soup is wonderful the next day as well. Serve it with some crusty bread or crostini. You may also add any additional veggies, tortellini, gnocchi, dumplings, or mini meatballs to it. If you are adding veggies or meatballs, add them at the beginning with the onion and carrots. If you add pasta, gnocchi, or dumplings, add it towards the end so that it heats through but doesn’t get mushy. It’s a super-flexible recipe and so nourishing. Enjoy! Preheat oven to 350 degrees. 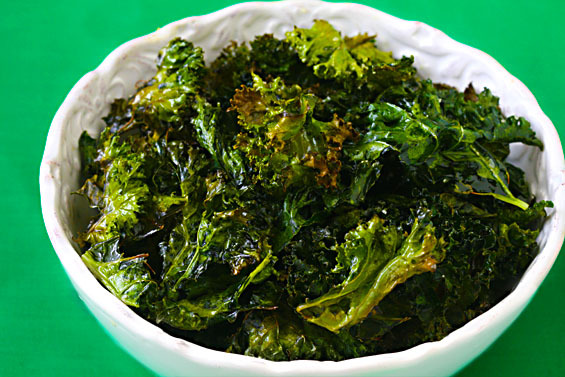 Line a baking sheet with parchment paper and spread kale leaves around. Drizzle with olive oil, sea salt, and garlic powder. Toss leaves to coat thoroughly. Place baking sheet in oven and bake for 10 minutes. Stir “chips” and finish cooking the leaves another 5-10 minutes. Leaves should be thin and crisp. Store covered for 2-3 days (if they last that long!). Note: Other seasonings can be used, i.e., chili flakes, onion powder, etc. Make ’em your own!